A white supremacist once linked to the murder of a Colorado prison executive in 2013 has been sentenced to 28 years for attempting to murder a police officer last year. 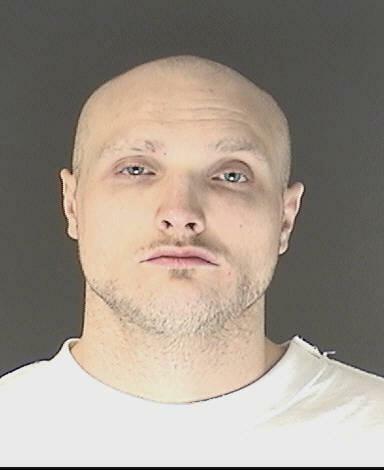 Thomas James Guolee, a 35-year-old reputed member of an Aryan prison gang known as the 211 Crew, entered the plea last week as part of a plea bargain that saw 18 other felony charges dismissed, the Denver Post reported on Fridya. “Your actions placed people in the community in grave danger,” Judge Gregory Werner said, approving the plea deal and imposing the sentence, the Colorado Springs Gazette reported. Guolee admitted that last December, while he was attempting to burglarize the home of a former Colorado Department of Corrections officer, he fired at a responding police officer. The officer was not hit, and Guolee sped off in a stolen car with police in pursuit. Guolee was shot and wounded by police when the high-speed chase ended. Last year’s attempted burglary at the corrections officer’s home, where his wife was alone with two small children, sparked “fears of ongoing retaliation” against prison employees in Colorado, the Gazette reported. In March 2013, Colorado state corrections executive Tom Clements was fatally shot at his Colorado Springs home by a white supremacist dressed in the uniform of a pizza deliveryman who had just been killed. Investigators subsequently said the killing, carried out by 211 Crew member Evan Ebel, may have been a gang-ordered assassination. Two days after the execution-style murder, Ebel was involved in a high-speed chase and shootout with police in Texas, resulting in his death. Investigators theorized that Ebel, fleeing Colorado, was driving to the Texas home of a paroled 211 Crew member. Guolee was arrested for a parole violation in April 2013 in Colorado Springs during an intensive, multi-state investigation into the prison chief’s murder. He was publicly identified as one of two 211 Crew members possibly involved in the Clements’ homicide, but neither was charged in the death. Guolee later denied any involvement in a 2013 interview with the Denver Post. Public records obtained from the Texas Rangers indicated Guolee spoke with Ebel by phone on the day of the Clements murder and in the days before and after the killing, the Post reported. In Texas, El Paso County Sheriff Bill Elder told the Denver newspaper that there is no evidence that anyone other than Ebel was involved in the Clements’ murder and that he intends to close the investigation.